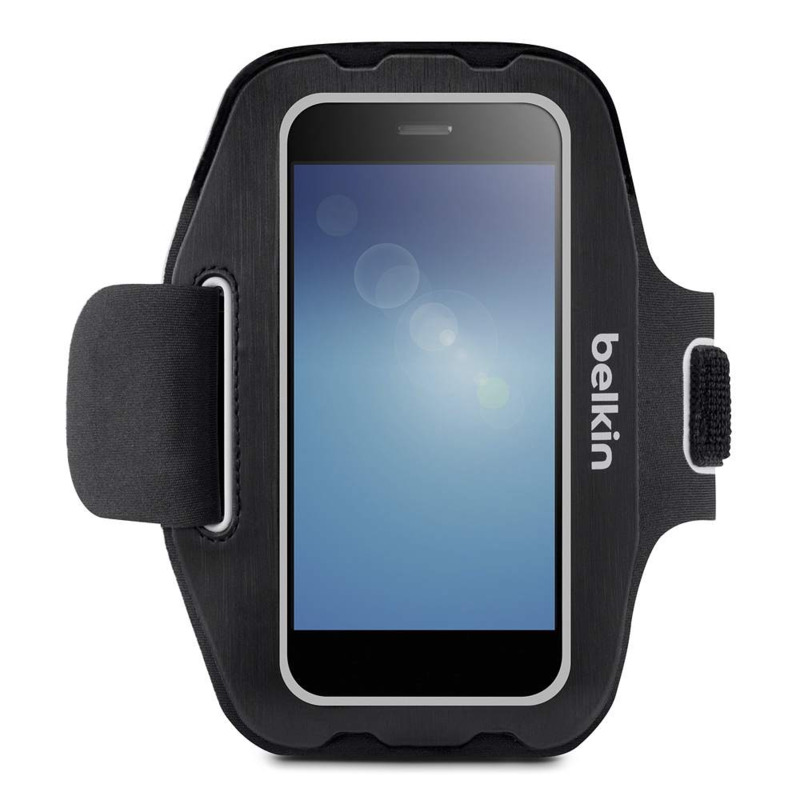 Transform your smartphone or MP3 player into a wearable fitness accessory with the Belkin Universal Armband. Designed for use with devices that measure 4.9 inches, this armband holds your device securely in place while you jog or run. It's easy to use: simply slip your phone or MP3 player into the protective pocket, fasten the armband securely, and start exercising. 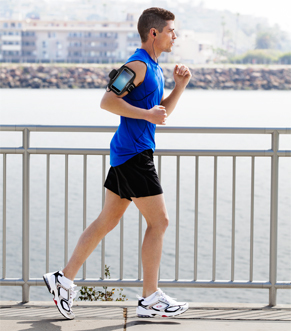 By keeping your device secure and out of the way, the armband lets you focus entirely on your workout. 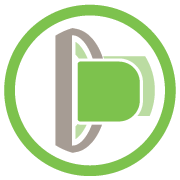 Made from a breathable neoprene material, the Belkin Universal Armband is engineered for a snug, comfortable fit. The strap stretches while you jog, climb, or run, giving you a full range of movement. It is also lightweight and slim, so you won't feel constrained while you exercise. And since it's hand-washable, the armband is easy to clean between workouts. With its built-in reflective fabric accents, the Belkin Universal Armband is ideal for late-night workouts. The accents reflect light, helping you stay visible to others while you jog or bike in the dark. The Belkin Universal Armband gives you full access to all of your device's essential functions. The translucent screen protector lets you easily operate your device's touchscreen, while cutouts let you plug in your headphones and adjust volume.